The Arab-Islamic “Palestinian” tactic of targeting Israeli children, right from the start. Glorification and celebration at their mainstream: by officials / leadership, masses | Free Israel! « Bloodthirst, Savagery of ‘mainstream’ Arab-Muslim “Palestinians”: Itamar massacre, Islamists butcher children while asleep, city of Gaza celebrates! Glorification and celebration at their mainstream: by officials / leadership, masses. Amid mostly infants in their strollers, children and their grandparents he detonated himself, wounding 13 children. 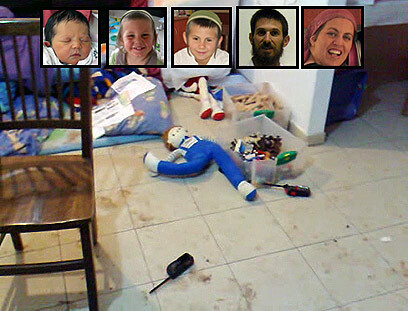 He killed grandmother Ruth and her 18- month-old granddaughter, Sinai. This is the real face of Palestinian terrorism’s father figure, Yasser Arafat and his evil minions. The following cited massacres are by by no means a ‘list’ of the humongous broad history of crimes against humanity where Arab-Muslims have been targeting the unarmed innocent Israelis, men, women and children. These are only a few publicized sad examples where children were specifically targeted. Among the hundreds of terrorist actions launched by his men, the most appalling were the brutal attack on an Israeli school bus at Avivim in May 1970, which left 9 children (aged 6 to 9) killed and 19 crippled for life. 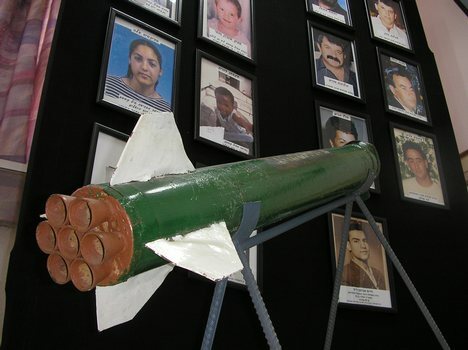 On May 22, 1970, members of The Popular Front for the Liberation of Palestine – General Command (PFLP-GC) led by Ahmed Jebril, ambushed an Israeli school bus that was driving along the road between Avivim to Dovev in Israel. Twelve civlians were killed, among them eight children. 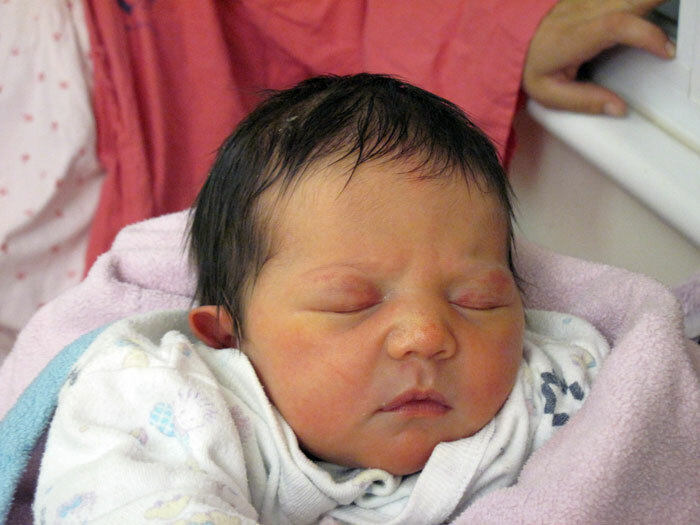 israelinsider: security: Sniper Kills Jewish Baby in Hebron Mar 27, 2001 … Palestinian sniper fire killed ten-month-old Shalhevet Pass yesterday evening in the Avraham Avinu neighborhood of Hebron. The gunfire also wounded her father Yitzhak, 24, as they stood in the entrance of the neighborhood. Shalhevet was killed instantly by a bullet wound to her head, fired by a sniper positioned on a rooftop in the Abu Sneneh neighborhood which overlooks the Avraham Avinu area, and which is under Palestinian control. Oriyah Pass, Shalhevet’s mother, who was with the family at the time, was unharmed. 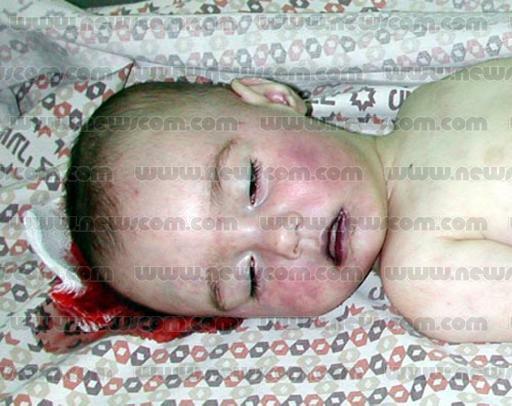 Shalhevet Pass is considered the youngest victim of the Intifada on either side of the conflict so far. They had been stoned and beaten so badly that a dentist had to be called in to identify them. 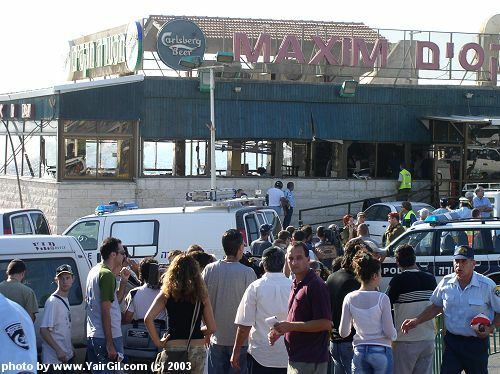 ‘The street was covered with blood and bodies: the dead and the …Describing the carnage following a suicide bombing in a Sbarro restaurant in Jerusalem, which Hamas claimed…. We, the bereaved families who feel the pain of terror every day must remind Israelis what ‘releasing prisoners’ for Gilad Schalit entails. 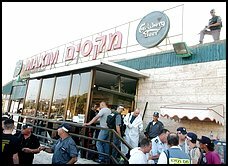 It’s been nine years since my daughter Malki was murdered in the suicide bombing of Jerusalem’s Sbarro restaurant and terrorism denial is still rampant. […] This campaign could not have galvanized so many – some estimate 200,000 joined its eleven-day march to Jerusalem last month – without the groundwork laid by terrorism denial. Were the faces of the 1,000 innocent Israelis murdered during the second intifada still fresh in Israelis’ minds, warnings about the dangers of a mass prisoner release would not be dismissed as casually and as persistently as they are being now. The statistics are chilling. According to government numbers, some 45 percent of released terrorists return to terrorism, while the rate of recidivism among Hamas members is 63%. And yet these numbers impact fewer and fewer Israelis. […] Ahlam Tamimi is one prisoner that Hamas wants freed. As a woman, she garners much sympathy for their cause. The mere mention of “woman” and “prison” in one sentence is a surefire tearjerker. But here are the facts. Tamimi is a mega-terrorist. She is responsible for the deaths of fifteen men, women and children, all of them civilians. She transported 10 kg of explosives hidden in a guitar case into west Jerusalem, handed them to her accomplice and escorted him through the city center disguised as a Western tourist. She led him to the target she herself had selected, an eatery filled with families eating lunch. She then warned her “weapon” to wait fifteen minutes before he detonated the bomb – allowing her enough time to escape unharmed. After her conviction, Tamimi smiled with pleasure upon learning from an interviewer how many children she murdered. She told Ynet: “I am not sorry for what I did. I will get out of prison and I refuse to recognize Israel’s existence… Discussions will only take place after Israel recognizes that this is Islamic land.” She has served only six years out of sixteen consecutive life terms. […] Here is “the face of a beautiful Israeli” I would like this country to see today. It’s the face of a fifteen-year-old girl who cared passionately about disabled children and volunteered with them in myriad settings. Who loved and nurtured her own profoundly disabled sister unconditionally. Who studied the flute for years and played classical music on it that brought tears to my eyes. Who kept a diary throughout the last year of her life in which she detailed her activities in school and in her youth movement. Who recorded alongside those anecdotes the names of the victims of every terror attack perpetrated that year. Whose wish for the coming new year, which she did not live to see, was that her family remain close and supportive of one another. It is the face of my daughter, Malki, z”l. On August 9th for the last eight years, I have urged others to remember the Sbarro bombing and its fifteen victims. One of them was Malki. Five others were the members of one family, a mother, father and three of their eight children. Another victim was an only child who was pregnant with what would have been her parents’ first grandchild. One of the “injured,” not even counted among the fifteen dead, is a young mother who has remained in a deep coma since that day. This year, I beg you not only to remember them but to also to remind another person, someone who may have fallen prey to terrorism denial. The author is a freelance writer in Jerusalem. She and her husband founded the Malki Foundation (www.kerenmalki.org) in memory of their daughter Malki who was murdered in the Sbarro restaurant massacre in 2001. Danielle Shefi, five years old, was one of four victims in an attack at the settlement of Adora, near Hebron, in April 2002. 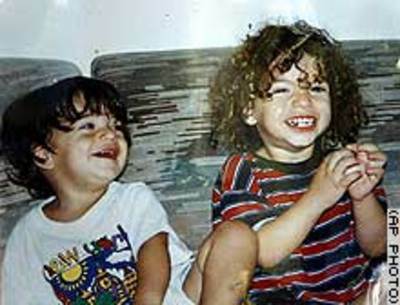 The terrorists shot her while she was playing in her parents’ bedroom together with her two younger brothers. 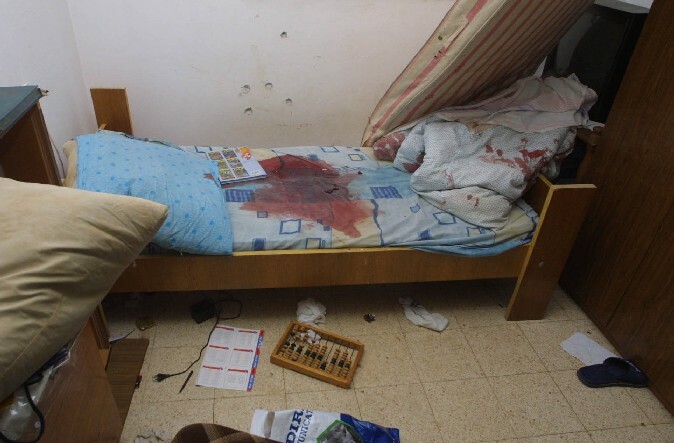 New York Post April 28, 2002 — An adorable 5-year-old Israeli girl was slaughtered in her bed yesterday – her mom looking on in horror as her daughter’s blood spilled out across the covers. The girl, Danielle Shefi, was one of four Israelis slain when Palestinian gunmen, disguised as Israeli soldiers, sneaked into a West Bank Jewish settlement and moved house to house spraying people with bullets, as many residents were attending Sabbath services in a temple. Shefi was killed when three cold-blooded gunmen infiltrated the Adora settlement, just west of Hebron, through a perimeter fence at about 9 a.m. local time. Danielle’s cop father, Yaakov Shefi, said his wife, Shiri, was cuddling with their daughter and two small sons in an upstairs bedroom when gunmen burst into their home and opened fire. After hearing gunfire in the distance, Shefi said he rushed home from the temple and found two of the gunmen, clad in Israeli army uniforms. “I thought they were soldiers,” he said. “I asked them, ‘What’s happening? Is everything all right?’ They opened fire at me.” Another gunman shot his way into a nearby home, blowing away Katya Greenberg, 45, in her bed and wounding her husband, Vladimir, and 14-year-old son, Nathan. The dead also included two men, ages 20 and 50, who were gunned down in the street. Anat Harari was one of eight people wounded in the attack, the latest Arab massacre since Israel launched the four-week-old military campaign to hunt down Palestinian militants – and just a day before a U.N. fact-finding team is set to arrive in the area. “I am on the floor, bleeding in a pool of blood,” Anat tearfully recounted. The ruthless attackers escaped, but one of them was fatally shot in the neighboring Arab village of Taffuh in a massive manhunt launched after the bloodbath. Israeli officials condemned the Sabbath slaughter – and said it only strengthens their resolve to crush the Palestinians. 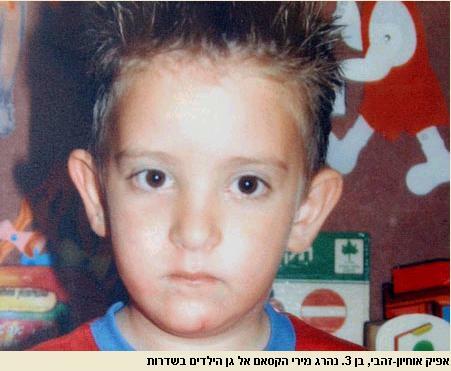 Danielle Shefi, five, was murdered by Palestinian terrorists in her bedroom, shot point blank in the head. Please remember Danielle Shefi, a little girl in Israel. Danielle was five. When the murderers came, she hid under her bed. Palestinian gunmen found and killed her anyway. Think of all the other victims of terror in the Holy Land … on September 11th, Yasser Arafat was busy suppressing footage of his constituents dancing in the streets. “Hamas is targeting deliberately kindergartens and schools and citizens and civilians because this is according to their values. Our values are completely different. We are trying to target Hamas, which hides among civilians,” Livni said. All minorities living within the Arab world are under siege. Tunisian human rights activist Muhammad Bechri has traced this to the “twin fascisms” – his term – that dominate the Arab world, Islamism and pan-Arabism. Muslim Judeophobia is not as is commonly claimed a reaction to the Mideast conflict but one of its main “root causes.” It has been fueling Arab rejection of a Jewish state long before Israel’s creation. The grand mufti of Jerusalem, Haj Amin al-Husseini, who was recognized as the official leader of the Palestinians during this period, was a virulent anti- Semite whose hatred of Jews was both religious and racial. …On the one hand, Hamas displays an ‘almost blind hatred’ and racism against Jews, partly inspired by European antisemitism (Milton-Edwards, 1996: 185). Israel, Jews and Zionism are viewed as one entity. On the other hand, Hamas discusses Israel in a religious perspective and regards Jews as a dhimmi people. The conflict between Palestinians and Israelis was not solely between two peoples, but between believers and non-believers. Ultimately, it was a conflict between ‘right’ and ‘wrong. ‘good’ and ‘evil’. In the United Nations, on university campuses, and among a growing number of our most prestigious Western newspapers, the historical record has been rewritten so thoroughly that Israel is seen as the worst of the oppressive Western occupiers of the Third World. So successful has this propaganda campaign been that Palestinian spinmeisters and their apologists have effectively declared the Israelis, a people living in the shadow of the Holocaust, to be “Nazis.” How could this happen? How did unacceptable anti-Semitism morph into justifiable anti-Zionism, and odious Jew-hatred turn into a politically correct Israel-hatred? In History Upside Down, David Meir-Levi exposes the ideological DNA of Palestinian nationalism and its ludicrous “alternative” histories, revealing how Nazi fascism gave the Arab world’s amorphous hatred of the Jews an intellectual structure and how Soviet communism masked its genocidal intentions with the mantle of national liberation. Meir-Levi then explodes the cornerstone myths that the Palestinian movement created–myths that rationalize and celebrate decades of unremitting terror and genocidal ambitions, turning the history of the Middle East upside down and inside out, making the victim the aggressor and the aggressor the victim. History Upside Down is the first wave in a counterattack against this Arab war on history. It rejects the idea that the basic situation in the Middle East has changed since the United Nations first established the Jewish state and the Palestinian state that would have stood alongside it. Sadly, argues Meir-Levi, the issue in the Middle East is today what it has been since the Muslim invasion in the seventh century: the Arabs’ hatred of the Jews. 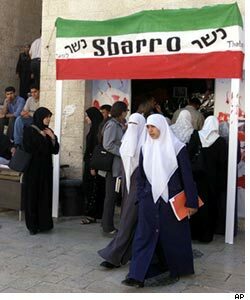 Arab racism must go – There will be no peace around here before Arabs view Jews as human beings. Racism in the Islamic World: How can peace prevail in the Middle East in the face of Islamic bigotry and hate? What role does bigotry play in the Arab-Israeli conflict? – Palestinian representative Nabil Ramlawi at a session of the United Nations Commission on Human Rights in Geneva, Jerusalem Post, March 17 1997. The hatred never subsides. It is developed and nurtured every hour, every day through all possible means. It is encouraged in kindergartens, schools and universities where the Arab children and youngsters learn that the Jews are their enemies. It is preached in mosques where the “Zionist entity” is presented as an eternal threat to the Moslem world. It is flourishing in refugee camps where the Jews are known as “the usurpers and barbarians that have expelled the ‘poor’ Palestinian Arabs from their homes.” It is pouring like venom from newspaper pages in every Arab country. They keep telling us that it isn’t about “stolen land,” and that land concessions and even the creation of a Palestinian state will not end the conflict. And we keep refusing to believe it. Following are excerpts from a speech delivered by Egyptian cleric Muhammad Hussein Ya’qoub, which aired on Al-Rahma TV on January 17, 2009. Muhammad Hussein Ya’qoub: If the Jews left Palestine to us, would we start loving them? Of course not. We will never love them. Absolutely not. The Jews are infidels not because I say so, and not because they are killing Muslims, but because Allah said: “The Jews say that Uzair is the son of Allah, and the Christians say that Christ is the son of Allah. These are the words from their mouths. They imitate the sayings of the disbelievers before. May Allah fight them. How deluded they are.” It is Allah who said that they are infidels. This is it. We must believe that our fighting with the Jews is eternal, and it will not end until the final battle and this is the fourth point. You must believe that we will fight, defeat, and annihilate them, until not a single Jew remains on the face of the Earth. That Hadith can be found at Sahih Muslim 6985. As for you Jews the curse of Allah upon you. The curse of Allah upon you, whose ancestors were apes and pigs. That’s Qur’an 2:62-65; 5:59-60; and 7:166. You Jews have sown hatred in our hearts, and we have bequeathed it to our children and grandchildren. You will not survive as long as a single one of us remains. Oh Jews, may the curse of Allah be upon you. Oh Jews… Oh Allah, bring Your wrath, punishment, and torment down upon them. Allah, we pray that you transform them again, and make the Muslims rejoice again in seeing them as apes and pigs. You pigs of the earth! You pigs of the earth! You kill the Muslims with that cold pig [blood] of yours. And now the learned analysts will turn to one another and repeat once again that the Israeli/Palestinian conflict has nothing to do with theology, nothing to do with Islam. Anger towards Israel by its Arab neighbors is out of proportion to Israel’s sins. What we are witnessing in the Middle East is anti-Semitism, not politics. It is Jew-hatred, not a dispute over borders or rights or Palestinian statehood. This present conflict is the direct result of Arab racism and Arab intolerance. As long as middle-eastern Arabs teach their children to hate Jews, there will be no lasting peace. We who once held a similar disdain for black people should understand better than most what sort of challenges the Middle East faces. Generations have been taught hatred. Generations have been taught that Jews are not human beings. Generations have been taught that every piece of bad fortune has Jewish conspirators at its heart. That sort of irrational racism can’t be eliminated by UN resolutions. It can only be reversed by sane and tolerant Arabs who are willing to speak out against their brothers. I doubt that peace in the Middle East is possible. I doubt that an entire generation of Arabs will come to repent of their anti-Semitic hatred. Jews make useful whipping boys for the powerful but incompetent Arab leaders who can’t make the trains run on time, or provide decent lives for their citizens. Until Hezbollah and Iran and Syria agree that Israel has a right to exist, and that Jews have a right to live in peace, Israel needs the protection of the West against the Hitlerian plans of the powers that surround it. The West, which has learned a few hard lessons about the evils of racism, needs to come to Israel’s defense. Israelism defines its borders, respectful of alternative cultures. Arabism is rogue and misinformed, it believes that all cultures must adopt its ideologies. ‘Alwan writes that the Arab League is to blame for the refusal to recognize the 1947 U.N. partition plan, for starting a war to prevent its implementation, and for the results of that war, which the Arabs call the Nakba (disaster). The Israeli-Palestinian conflict The Middle East conflict is clearly not about the occupation of the West Bank … The root cause of the conflict is, and always has been, Muslim bigotry. This entry was posted on March 14, 2011 at 5:43 am and is filed under Uncategorized. You can follow any responses to this entry through the RSS 2.0 feed. You can leave a response, or trackback from your own site.